After returning to Cooma for the night, we headed north through Canberra toward some frankly amazing wineries. The first one we rolled up to contained a rural restaurant, smokehouse, and cellar door, all in one. 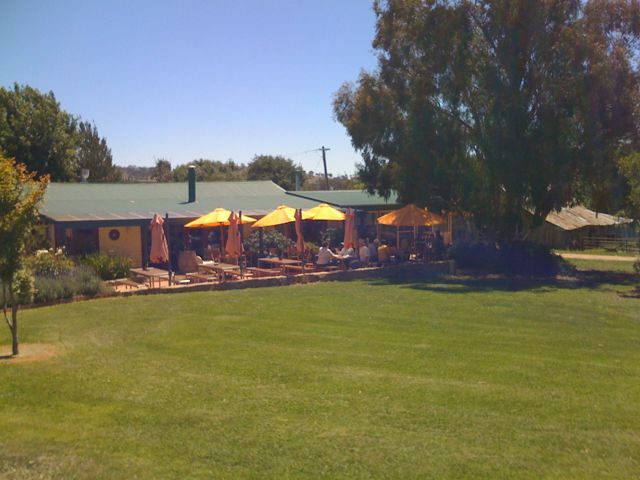 Poachers Pantry, the food half of the business, features smoked kangaroo, duck, emu, and chicken, while the winery, Wily Trout, offers some excellent reds, particularly the Merlot. We enjoyed a wonderful lunch in their garden, under a cloudless sky, beneath umbrellas, cooled by soft breezes.